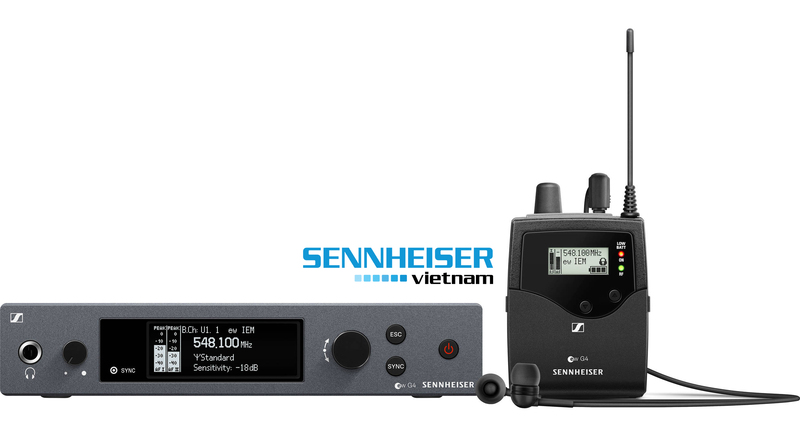 The SR IEM G4 Stereo Transmitter from Sennheiser is an addition to their evolution series of wireless systems. 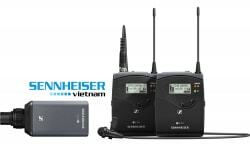 It features wideband FM stereo modulation and can be used when paired with a companion receiver as part of a wireless RF monitoring system for live stage, theater, and rehearsal applications. The stereo transmitter is equipped with 1680 frequencies tunable in 25 kHz steps and has 20 fixed frequency banks, with up to 16 compatible frequency presets and 6 user banks with up to 16 user-programmable frequencies. The receiver's menu-driven backlit OLED display shows current frequency, frequency bank and channel number, metering of AF level, transmission status, equalizer settings, lock status, and input sensitivity. An auto-lock feature is provided to prevent settings from being accidentally altered. Additionally, associated receivers can be synchronized with the transmitter via an integrated infrared interface. 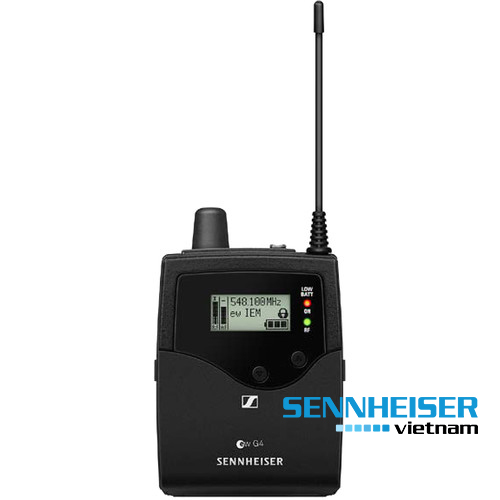 This transmitter is built with two electronically balanced XLR/1/4" combo sockets, a 1/4" headphone output with headphone volume control, an Ethernet port (RJ-45 for remote network-based monitoring), and a 50 Ohm BNC-type antenna input. Finally, it has a rugged metal housing and includes a 12 V power supply and a GA 3 rackmount kit. 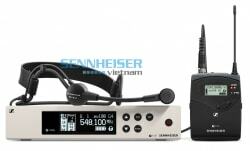 Half-rack stereo transmitter in a full-metal housing with OLED display for full control. 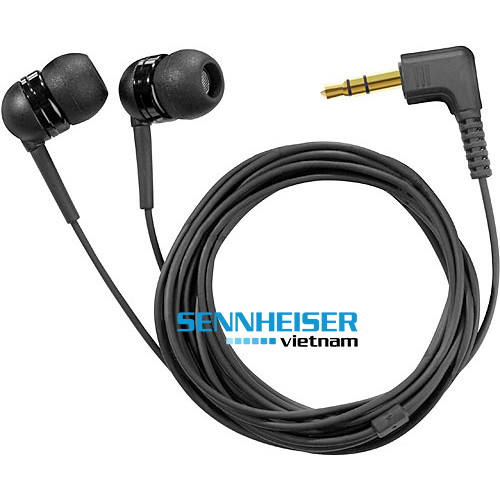 Compatible with Sennheiser WSM control software for flexible frequency allocation. Up to 16 compatible channels. Transmission Range: up to 100 meters / 300'. High RF output power (up to 50 mW) depending on country regulations. Range: Up to 100 meters / 300'.